HTC has released its third and final installment in the HTC One Series, the HTC One S.Previously HTC had released HTC One X and HTC One V.The HTC One S is the middle smartphone when it comes to the One Series, with the HTC One X having higher specs and the HTC One V having much lower specs.The Android 4.0 Device has been much awaited in the Indian market. 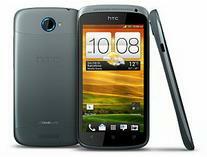 The HTC One S is said to have a 1.5GHz dual-core processor on the Qualcomm MSM8260A Snapdragon S4 chipset, this sure is one fine processor but not at the same level as the quad-core processors that the HTC One X and Samsung Galaxy S3 have. The HTC One S, like its other two "One" counterparts comes with Beats Audio, something that HTC is including in all its recent smart-phones. The HTC One S is priced at Rs 33000 in some stores and may go up to Rs 36000 in others.We have a few videos about the HTC One S for your viewing pleasure.